A surprising sandwich that tastes just like a jalapeño popper! Heat a medium skillet to medium-high heat. 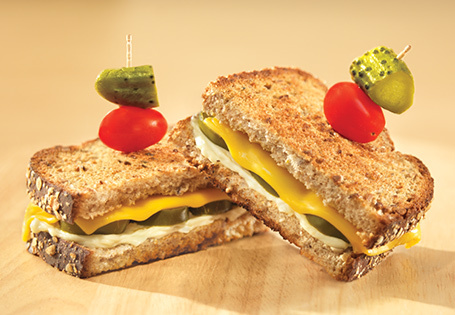 Spread cream cheese on 1 slice of bread and top with jalapeño slices, American cheese and other slice of bread. Spread butter on outside of sandwich and cook in hot skillet for 4 minutes on each side or until golden brown.